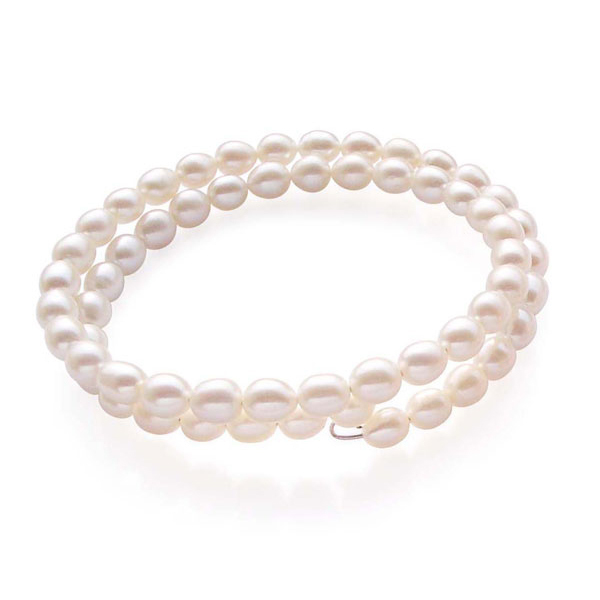 This pearl wrap bracelet is made of single colored cultured genuine approximately 5-6mm freshwater rice shaped pearls. 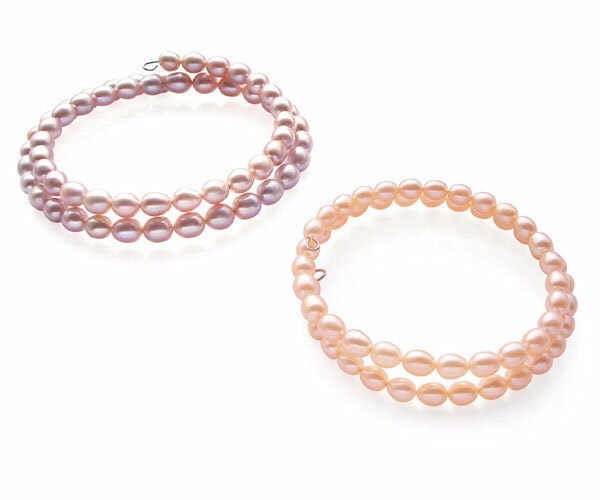 The wrap bracelet should fit wrists sizes from 7″-8″. It is very easy to slip on and off. 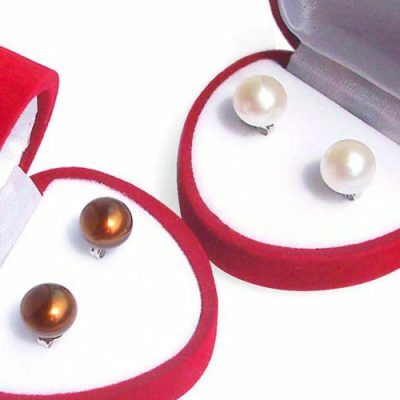 Perfect for people who do not want to bother with maneuvering pearl clasps. 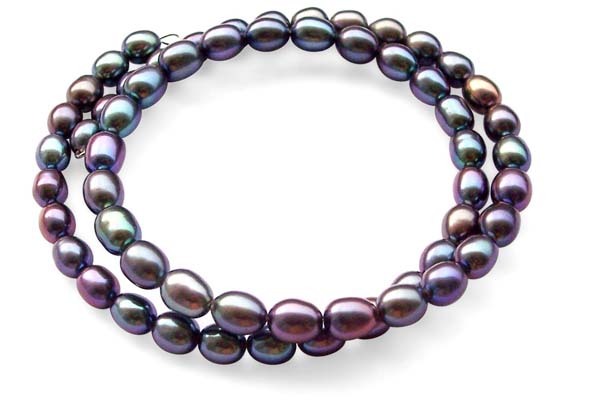 The same kind of bracelet is selling for $39.99 at JC Penny with much lower quality pearls. 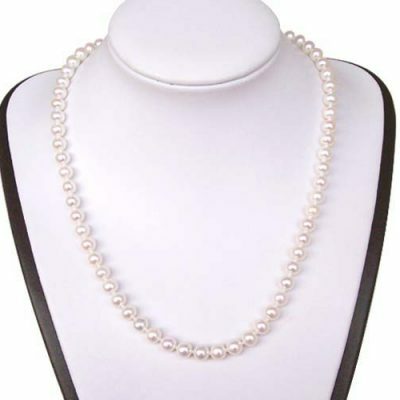 These pearls have very high luster and without any visible markings. 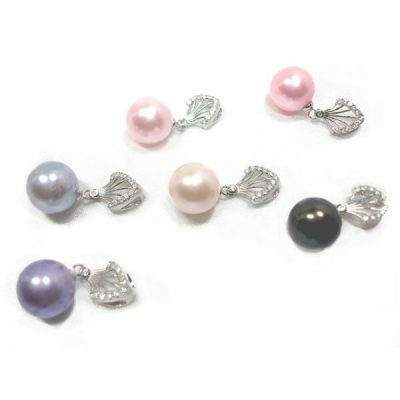 white, black, pink and lavender.